Pupillometry has been widely employed in the evaluation of a large number of pathological conditions, including intracranial pathology. The recent introduction of a portable, user-friendly, infrared pupillometer (ForSite, NeurOptics Inc., Irvine, CA) has enabled the accurate and reproducible measurement of several pupillary parameters, such as maximum and minimum apertures, constriction and dilation velocities, and latency period. It should be noted that various clinical conditions, especially neurological and ocular diseases, as well as numerous medications, may interfere with the measurements. Furthermore, a number of physiological parameters, such as the intensity of retinal illumination, the level of patient's alertness, the intensity of ambient light, as well as the time of day that the examination is performed may alter the obtained values. 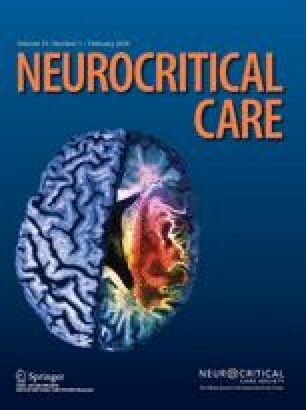 The potential implications of pupillometry in the clinical assessment of neurosurgical patients, including its complex relationship to intracranial pressure changes, mandate the undertaking of prospective clinical studies validating the clinical significance of this noninvasive, diagnostic modality.